This is a 1931 illustration by E. Bostelmann of fish: Cyclothone Signata! The size of the illustration is approximately 6.5x10inches. 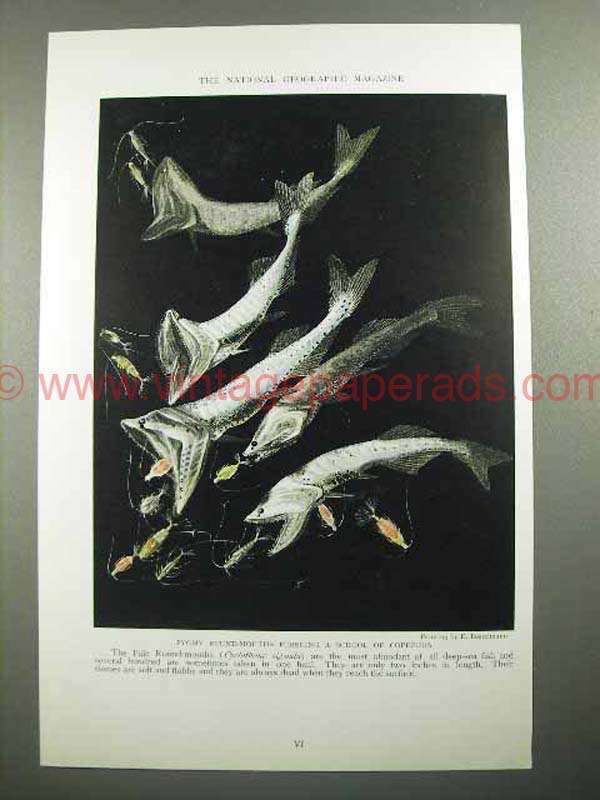 The caption for this illustration is 'Pygmy Round-mouths pursuing a school of copepods' The illustration is in great condition. This vintage illustration would look great framed and displayed! Add it to your collection today!